Mr. Lewis joined Pfizer in 1988 as a sales representative in the human health pharmaceutical segment, and held positions of increasing responsibility across various commercial and general management roles dedicated to human health. 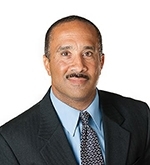 Mr. Lewis serves as a member of the Board of Directors for International Paper, where he is a member of the Governance and Public Policy, Environment and Sustainability sub committees. Mr. Lewis holds a bachelor's degree in biology from Fairfield University and a Master of Business Administration in marketing from Fairleigh Dickinson University.